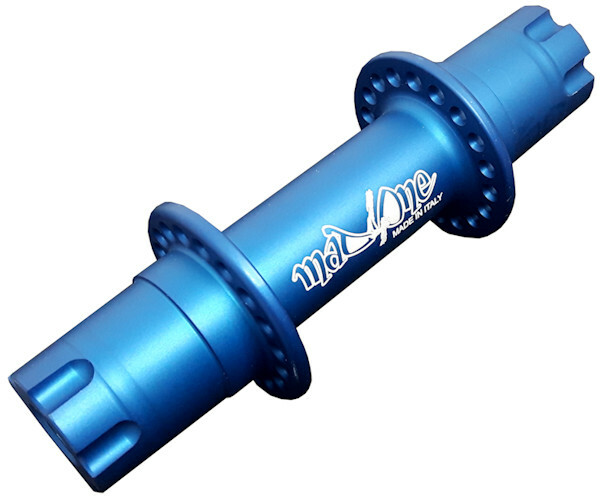 The hubs differ first of all in the shape of the interface between Hub and Crank. Proprietary. 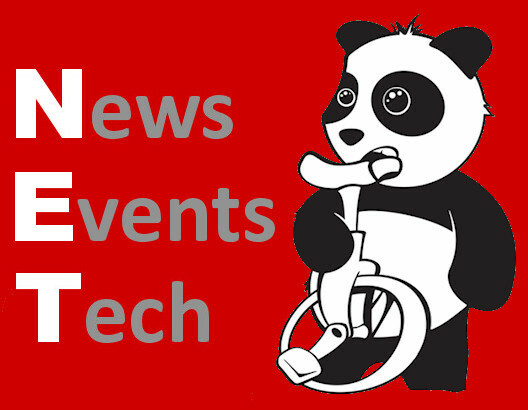 Here the shape is in most cases similar to the ISIS interface, but with different sizes, so that both cranks and hubs must be of the same manufacturer and must have the same design. The more the flanges (from which the spokes start) are distant from each other, the stronger will be the wheel. 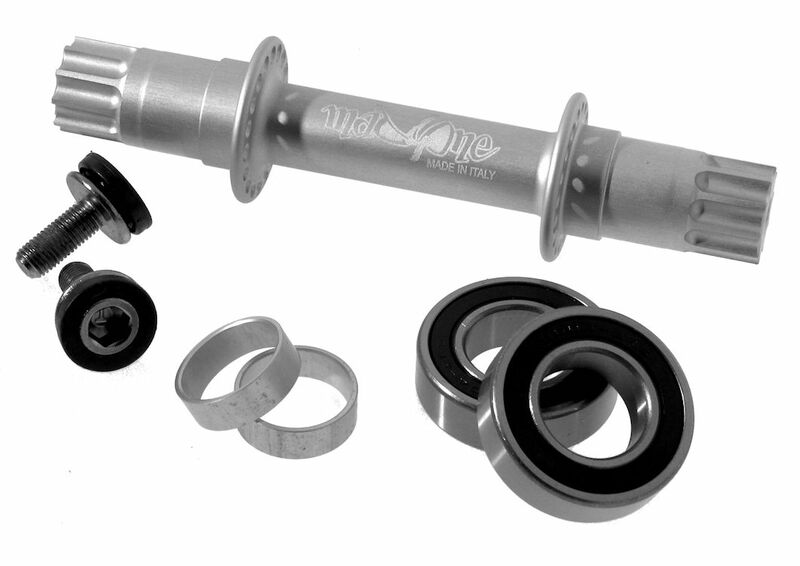 On the contrary, the wider the flanges, the less will be the space for frame and bearing-holder. 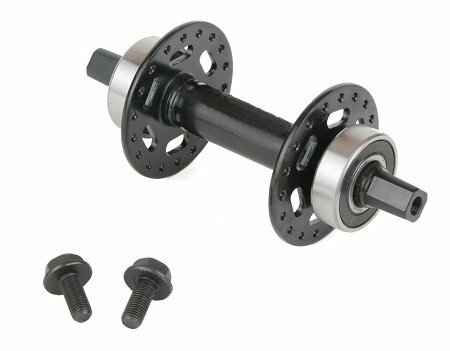 In order to offer hubs that are 100% compatible with all frames now available on the market, the distance of the flanges of all our hubs is about 68mm (100mm hub). 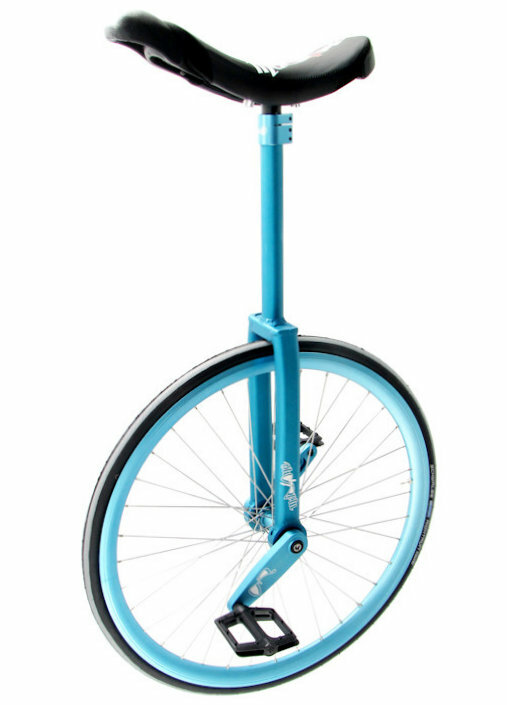 The wheel of the unicycle undergoes great lateral stress, much greater than the one a bicycle is usually subject to. The last aspect to consider is the Q-factor. 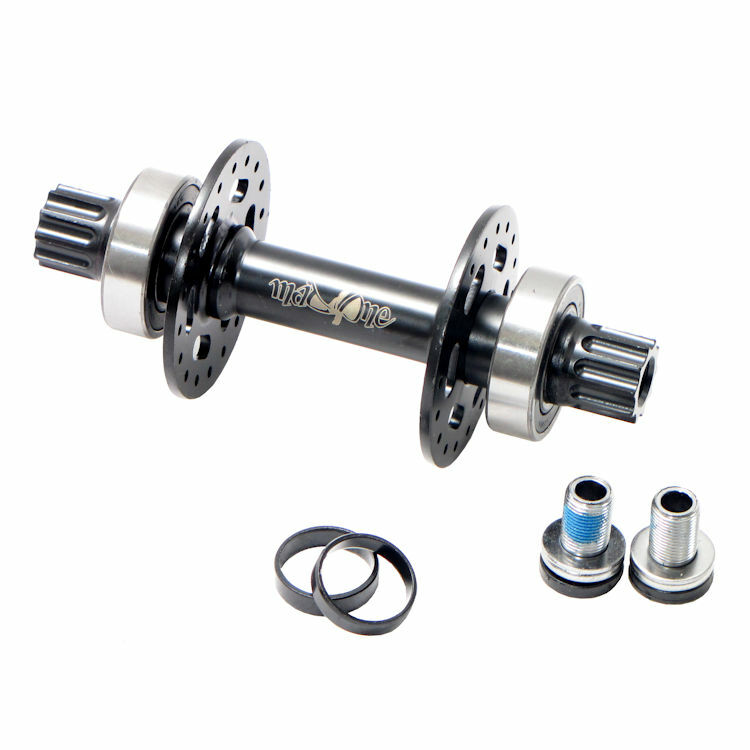 The Hub Q-Factor is the distance between the crank, mounted on the hub, and the middle of the wheel. 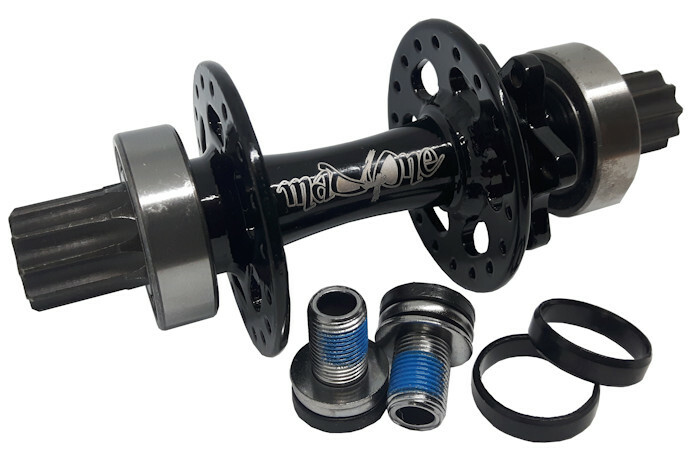 The Crank Q-Factor is the distance in mm to be added to the Hub Q-Factor in case your crank is not 90 degrees from the hub. 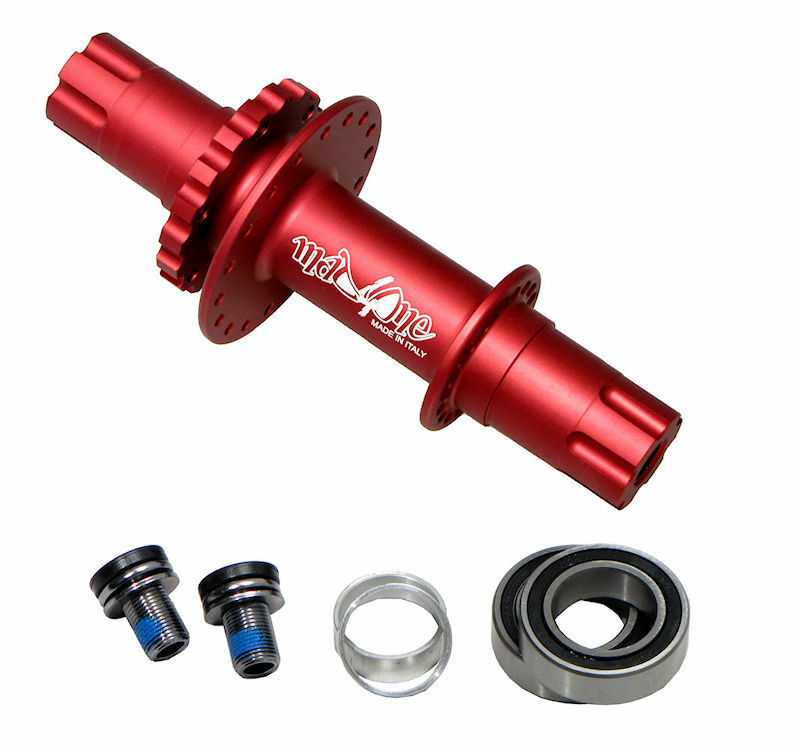 The more your crank diverges from the hub, the higher will be the Crank Q-Factor. The closer the pedal is to the wheel center, the greater will be the push forward (your wheel will be more responsive and faster). 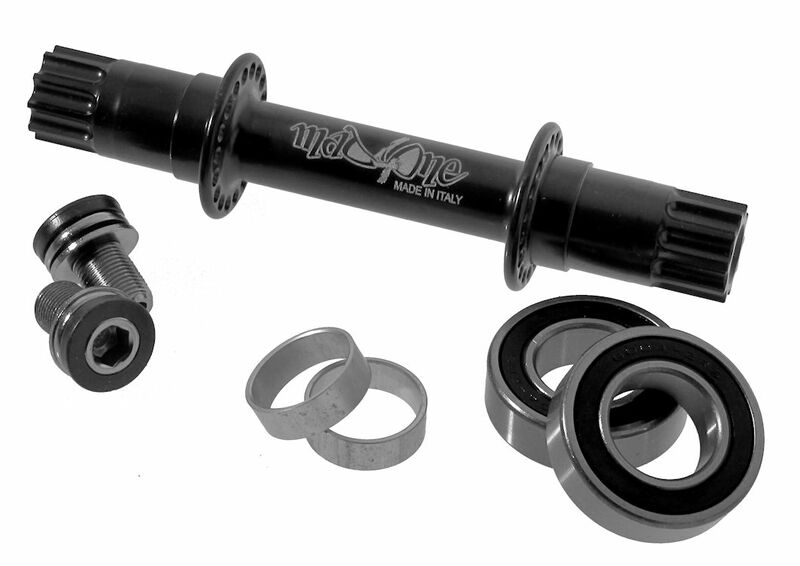 Almost all modern hubs have a standard width of 100mm (measured from bearing to bearing).